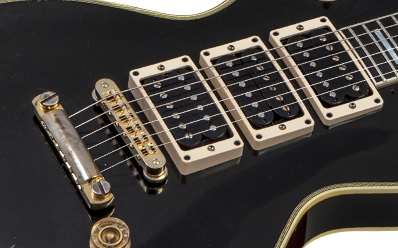 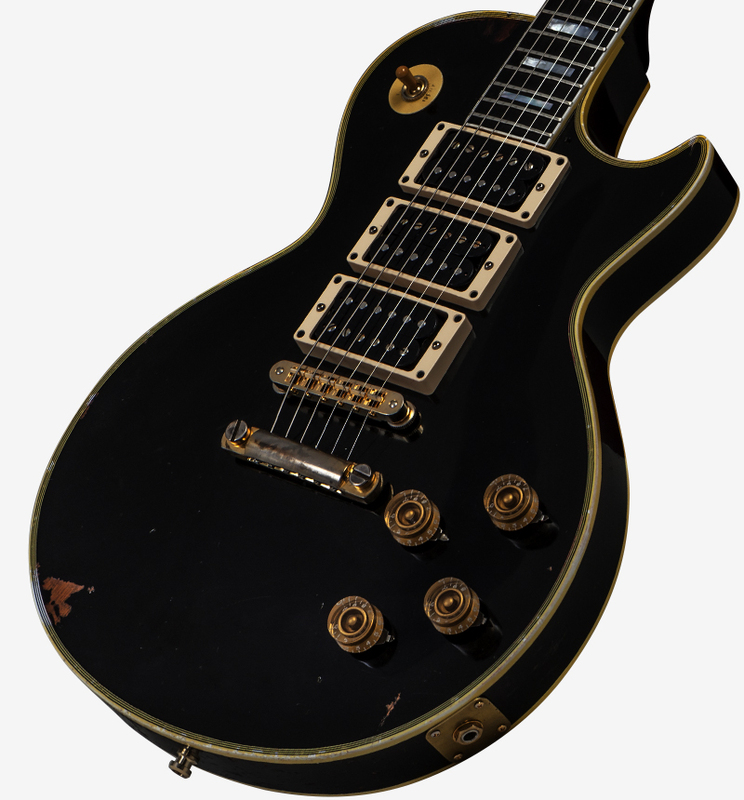 GRAMMY® winning guitarist Peter Frampton's heavily customized 1954 Les Paul Custom is one of the most recognized guitars in rock history, having been featured on his massive-selling Frampton Comes Alive! 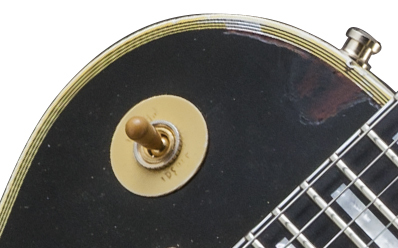 album as well as many other historic albums in which Peter was a session player. 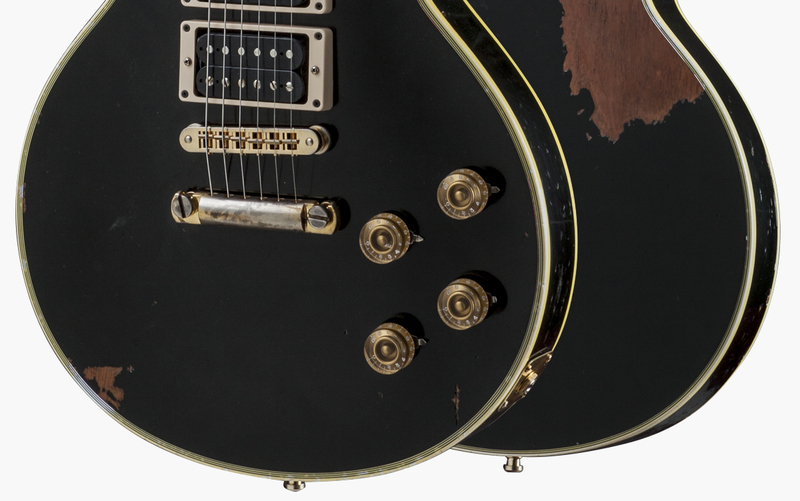 Presumed lost when a cargo plane crashed in Venezuela in 1980, the guitar was returned to Peter in 2012, restored, and measured in precise detail for this painstaking, hand-aged re-creation–the closest you can possibly come to owning one of the world's most iconic Les Pauls. 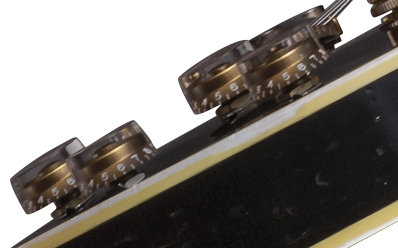 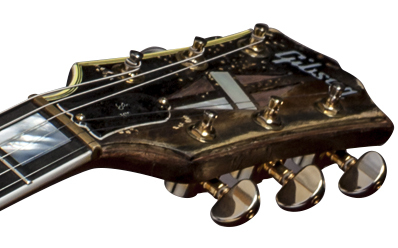 Thickness at Fret 1: 2.159 cm /.850"
Thickness at Fret 12: 2.44 cm /.96"
Small: 3.937 cm x .6096 cm / 1.375 x .155"
Peter Frampton's 1954 Les Paul Custom, recreated to match its current day condition, over thirty years after surviving a plane crash. 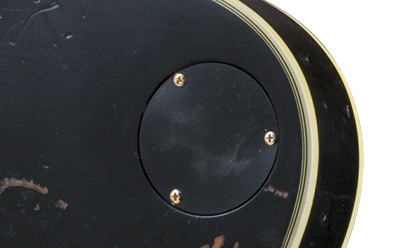 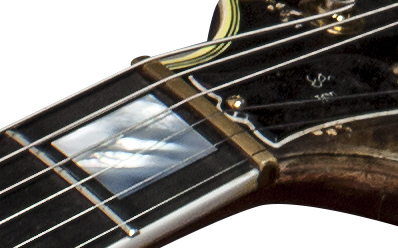 The same guitar featured on Frampton's Double Live album and was returned to him in 2012. 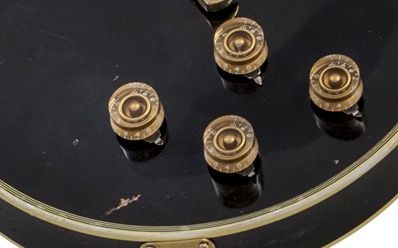 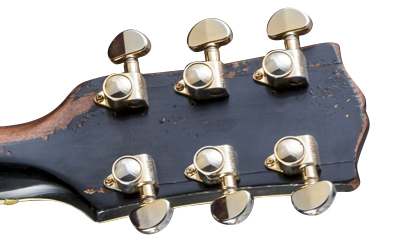 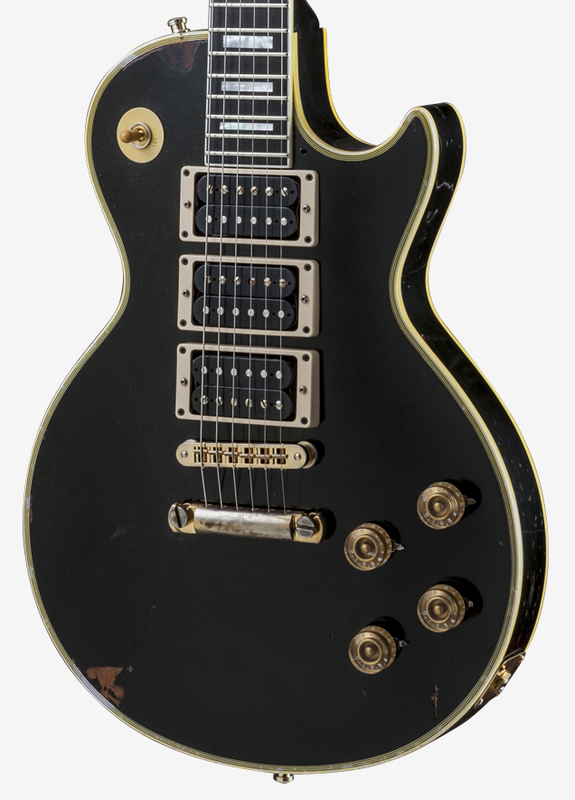 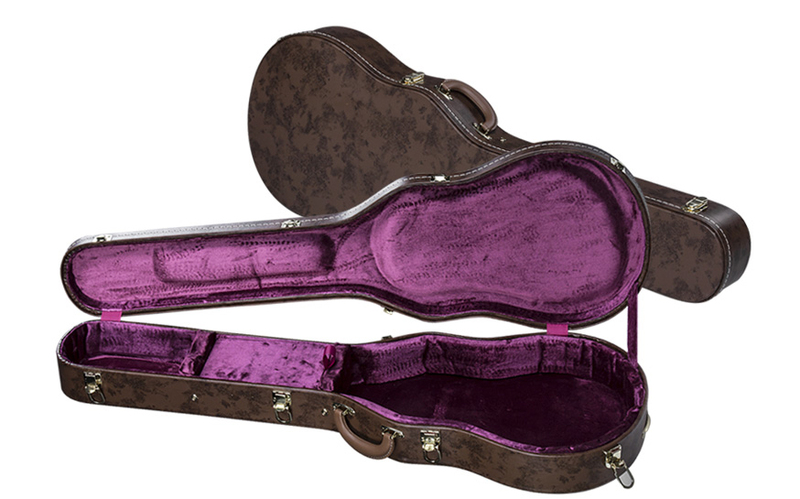 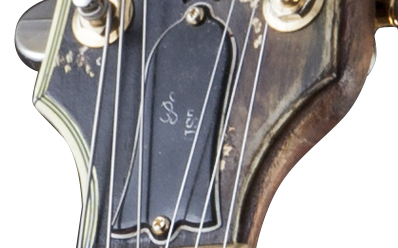 This limited edition of 35 guitars heavily aged by Tom Murphy, is created based on the very same Les Paul Custom that Peter now (again) tours and records with as his number one.